SKU: seca700. Categories: Medical, Seca. More precision with the 50 gr. graduation and a higher capacity of up to 220 kg .More convenience from the very flat, large platform and the eye-level beam.The seca 700 is available in three versions: kilograms, pounds and kilograms/pounds. 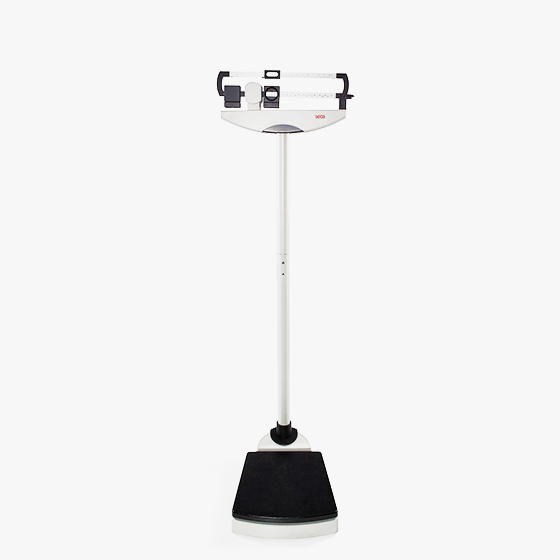 The optional measuring rod seca 220 with a range from 24 to 78 inch for timesaving weighing and measuring in one step, will be delivered with the scale. Equipped with integrated transport castors for mobile use.Robust construction cast iron base.